Earnings Preview for the Week of April 27, 2009 Jump on Board! Keep in mind some of the companies reporting this week are ideal candidates to replace General Motors if GM happens to file chapter 11, they will certainly be taken out of the DOW (they may possibly get replaced, even if they don't file chapter 11). I have made assumptions based on similar companies in each sector. Right now I am bullish on crude oil, however I was very bearish on crude in Q1, and we are looking at results from Q1, which is why I believe it will be reflected in the earnings. Small cap stocks like Buffalo Wild Wings and Astronics are always fun to watch report, as they seem to either pop or drop by 50%. I will be buying a straddle on Buffalo Wild Wings as it has worked very well for me and made me some money in the previous quarters. Visa is also another one I expect to have blowout numbers, simply because people are charging more- not necessarily a good thing but good for Visa. If they have a very good report like last quarter and can get through 6 month resistance of around 62, nothing will keep Visa back from crossing the next resistance point at around 70. Keep in mind also that if these companies miss earnings it's not the end of the world. They can also do well depending on what kind of guidance they give (I look at future guidance more than past earnings as a buy signal). Take CAT for example; they missed earnings and lost money for the first time in over 16 years and they have been on a tear. They were even upgraded the next day by JPM (however their credit was downgraded the same day- I will be studying their Credit Default Swap chart in the weeks to come, and make a decision what I want to do with my position in CAT). Where Were They 10 Year's ago? Are Stocks Really for the Long Run? Today I'll be posting about investing long term. Given the major stock market indices have rallied over 25% from their current lows set on March 9, 2009, I think it would be fair to take a look how much the market would have returned if you started investing on April 23, 1999 (April 24, 1999 was a Saturday). Although I typically don't use the Dow Jones Industrial Average to get an overall picture of the stock market, I am going to use it for my example. I picked the DOW because it is said to be the most famous index in the world, not to mention that there are only 30 stocks to get data for. I Understand the current DOW is not the exact same DOW from 10 years ago. However, it should give us a relatively good idea, this is because 21 of the components are the same Dow components as 10 years ago. The DOW components not in the index as of April 23, 1999 are: T (AT&T), BAC (Bank of America), CVX (Chevron), HD (Home Depot), INTC (Intel), KFT (Kraft), MSFT (Microsoft), PFE (Pfizer), and VZ (Verizon). So let's journey back 10 years (I would have been 12 years old and invested in the market believe it or not) and say we committed $1,000 to each component (Kraft was not spun out of Altria yet, therefore we cannot use that stock). We would have started with $29,000. ***Note*** The price on April 23, 1999 for each stock is adjusted for stock splits and dividends. The question is: How much would our portfolio of stocks bought on April 23, 1999 be worth today? As you can see if you would have invested $1,000 in each of the 29 DOW components 10 years ago, you would be down $2,276.67 or 7.85% today. As noted before, the prices 10 years ago are adjusted for splits, spin offs, and dividends. Now to answer the question: Are stocks really for the long run? Well it depends on what someone considers the long run, and how much risk someone is willing to take. I am someone who can take a lot of risk, considering I am 22 years old, but when I have a decent gain on common stock, I find it very hard not to sell the stock, or at least some of it. In my opinion, the "buy and hold" strategy does not work well. Unless you find a company in its very early stages (when they experience the majority of their growth), most likely you will not experience any massive gains over a longer period of time. However, one conclusion can be drawn quite clearly from this experiment. A diversified portfolio is an extremely good thing to have for a long term investor. Imagine if you were heavily weighted in a stock like Citigroup or GM versus a diversified mix... A near 8% loss is much better than about 90%. You see the numbers, unless you were heavily weighted in the 40% of stocks that happened to appreciate over the past ten years, long term investing definitely would not have paid off. Will the Major Indices Make it Seven Straight? It will need to be a good day to make it seven straight weeks of gains on the major U.S. Indices. The Dow Jones Industrial Average will need to finish the day higher by more than 174.27 points or 2.2%, the Nasdaq will need to finish higher by more than 20.86 points or 1.3%, and the S&P 500 will need to finish higher by more than 17.68 points or 2.1%. My prediction is that we will not finish the week higher for the seventh straight week, but crazier things have happened. If it is a good day I think the Nasdaq will finish the week higher, but it will be tough for the DOW and the S&P 500. Please leave your opinion as a comment about how you think the markets will finish the week. Here is a fresh list of stocks I will be keeping my eye on as of April 23, 2009. These are the current highest bull/bear rated stocks my screener has returned. To get a detailed definition of the bull/bear components check my Bull/Bear Ratio Defined post under Hottest Blog Posts. These are the top stocks and have not received as bullish ratings as stocks in the past few weeks. This could indicate many stocks have been overbought, which could mean a light pullback before we head any higher. I would use extreme caution if planning to purchase any of these stocks and would do some extensive research before I jumped in any of them. These will certainly be on my watch list the next few trading days. I'll wait for a 7-10% pull back to purchase any of them and set a tight stop loss if I happen to purchase any of them. If I purchase any of them, I will be selling into strength. Note that when Ratios are in yellow that it means they are Range Bound. Oddly enough Sirius has the least attractive Bull/Bear Ratio yet it is the only stock which is trending up according to the strength meter (green ratio). As the pre-market indicated it was going to be a rough day, but as the day progressed it looked as if we were going to be GREEN for earth day. However in the last 20 minutes the S&P 500 and Dow sold off and finished in the red. However the Nasdaq held strong for the day before monster reports from Ebay and Apple. Speaking of Apple, they are about to roll over the 1,000,000,000 mark for apps downloaded for the iPod Touch (just 9 months). I think they are a very strong company with plenty of growth to come. I still think on a fundamental basis AAPL is cheap. Apple blew out the quarter beating estimates by more than 20 cents a share, and is currently up about 4% after hours. However I think the overall market tomorrow will influence Apple. Even with a blowout quarter it is possible Apple might sell off. The news released from GM today was quite scary and I believe was a major reason the markets sold off. GM apparently will not be able to make their first payment on June 1, therefore they may be looking at doing a debt for equity swap- more pain for the shareholders. The good news is that if GM goes to zero ($0 per share), the Dow Jones Industrial Average will only drop by 13.46 points! However depending on how investors take this news, could have a greater or less affect on the markets. Today I bought my BGZ covered calls back and I plan on writing them back out if the market sells off a bit tomorrow. I am in on the Apple conference call now so I have to keep this post short... 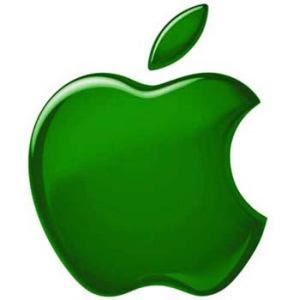 Happy Earth Day (hence the green apple). Palm has set a new 52 week high 4 days in a row including that awful day Monday. Palm was upgraded by Merrill Lynch and price target was raised to 14 a share. I have heard heavy rumors that the Palm Pre will be released by May 17, 2009. Some rumors include put a vacation freeze for retail employees to train them with the Pre smartphone. I have heard another rumor stating that it would be under $200 with new a 2 year user agreement, so Palm will be getting a nice subsidy from Sprint. This phone has also been rumored that it will be released within 6 months for most large carriers, including GSM carriers over seas. The Palm Pre was featured on Jimmy Falon's talk show recently and was compared to the Apple iPhone. Some of the featured apps sound brilliant, such as syncing it with most major social networking sites and email servers such as: GMail and facebook, to get contacts and additional info. I have not decided where to write covered calls for May yet, as I may wait to sell on the news and buy back on a dip. I think once they release this info the stock will pop but then will sell off or at least settle down for a few weeks, until they start releasing sales info for the new Palm Pre device. I will post an update when I decide what to do with Palm... I am hoping the Palm Pre comes out very soon because I am tired of posting off my current phone (HTC Touch Pro). I take the S&P 500 holding over 830 on a day like this as a good sign. Being down less than 5% on the day after the current administration announced new "banking plans", is not the worst thing that could have happened. However I think it could get uglier if we get below 815 tomorrow. If that happens, I think there is a good chance we could see the S&P 500 back down to the 780 range soon. Today I sold some covered calls for the 55, 60, and 70 strikes on my BGZ, which I am hoping won't come near those strike prices. So the bulls had a bad day in the market and now it's back to doom and gloom. It wasn't the first bad day, and it won't be the last. Today all I heard was doom and gloom comments from people, some saying "we've rallied 6 weeks in a row and now we're "due" for a correction". Sorry but the market isn't "due" to do anything. Each and every day is independent, and the market's performance is mostly based on that day's major events. Of course there are indicators which signal a higher probability chance of the market changing directions, but nothing is 100% guaranteed. For people to develop a gambler's fallacy is absurd. Let's compare the stock market to the game of roulette. For those who don't know, it is a casino game which is a wheel and has 38 slots of which a ball can land in. Numbers 1-36 are either black or red, and numbers 0 and 00 are both green. The odds are always in the casino's favor. It is unlikely that the ball will land on a red number 50 times in a row, but mathematics tells us there is a small chance it could, so the same goes for the stock market. If only positive news about the market/economy was released everyday, we would likely keep going higher. Same goes for the stock market depreciating if only negative news came out everyday. However the chances of just good or bad news coming out every day is extremely unlikely, just like a ball landing on red 50 times in a row ( .000000000000005949%). I understand I wrote a couple days ago stating the market looked tired and was indicating a bit of a sell off, and was going to have a hard time moving higher without extremely positive news, but I never said it was for sure going to sell off. The moral of this post, is that you cannot believe people who are overly pessimistic, or optimistic for that matter. This is because they may be acting in self-interest, and could be attempting to sway the markets (lame attempt, but the only people it usually hurts are those small investors who get spooked on one person's thoughts or comments). Stop panicking about what other people say and do your own homework to determine your trading/investing. Because I have a finance/ stock market blog I would like to write a quick post on calculating the Dow Jones Industrial Average. This moves very differently compared to the other indices. For those who are interested I have created a spreadsheet that calculates the Dow daily. My Dow divisor spreadsheet shows all 30 stocks in the Dow, what the change was for the day broken down by each stock (refreshed automatically and then every 5 minutes- refresh manually by clicking "data" and then "refresh"), what each stock in the Dow 30 finished the day at, and what would happen to the Dow Index if any particular stock went to zero. Out of curiosity I also created two columns that calculate the Dow Jones Industrial Average if all of the 30 stocks in the index were simultaneously at their highs or lows (unlikely to happen but you never know with this volatile market!). To download the spreadsheet for Excel versions 2003 or older Click here, to download the Excel spreadsheet for Excel 2007 click here (recommended). ***NOTE*** An error may occur if a value for a Dow component finishes the day unchanged. You will see an "unch" in the box, simply place a zero (0) in the box and it should fix the error. Hope this will help explain the Dow Jones Industrial Average Divisor better. The current Dow Divisor is .125552709 and this spreadsheet will need to be updated when it changes. 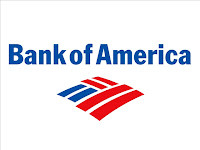 Bank of America: Can the Monster Bank Follow the Trend of the Other Financial Giants? In the past 2 weeks we've heard from Wells Fargo (WFC), JP Morgan Chase (JPM), Goldman Sachs (GS), and Citigroup (C). This week we'll hear from Bank of America (BAC) and Morgan Stanley (MS). I feel BAC should easily beat estimates, like the other giants under the new relaxed accounting rules. BAC's forecast will certainly be the key that drives the market tomorrow, because this market it getting tired. I have been studying the chart for Bank of America today (as seen below) and I think if we can get BAC above 12 a share we'll have a good shot of going higher in the weeks to come (click on the chart to get a larger more clear image). I think if we get through 12 it is important to test the 12 level, forming a clear double bottom with BAC price from the previous market bottom on November 21, 2008. 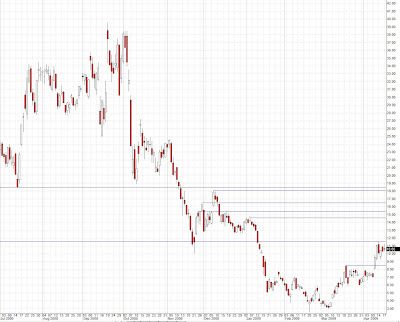 The critical support level is the 8.50 range and we may test it but it is very important to stay above it. If we can get through 12 a share, it looks like we could get to 14.50 range without any major resistance, and then 15.50 range. Looking ahead it looks like we'll need to break above 18.50 and retest that level to move higher in the future. A clear double bottom was formed from lows in July and October, but we broke below it. However as I've said before, we can go up just as fast as we went down, and we could be back at 18 range before we know it. We'll see how the stock reacts tomorrow on their earnings report and forecast to see where we might be headed in the weeks to come. I think overall tomorrow should be another very volatile day, so buckle up.